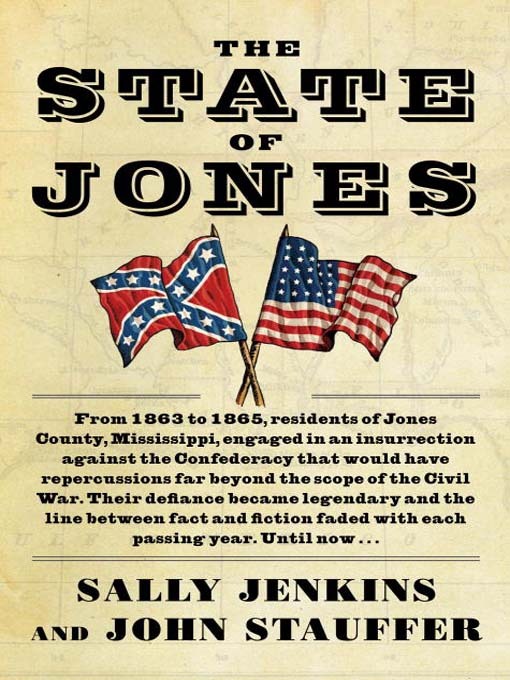 A couple of days ago a representative of Random House contacted me to see if I might be interested in reviewing a forthcoming book, titled, The State of Jones: The Small Southern County that Seceded From the Confederacy by Sally Jenkins and John Stauffer. It’s one of the more interesting stories out of Mississippi and is the subject of an excellent book by fellow blogger and historian, Victoria Bynum. I’m not overly excited about reading another book on the subject, but I do like John Stauffer’s work so I decided give it a look. It arrived today, and, hopefully I will have the time to read it over the summer. What struck me upon opening the package, however, is the cover, which shows both the United States and the Confederate States flags prominently displayed. I can’t help but think that this is a great example of how the marketing to a general audience hasn’t quite kept up to pace with scholarship on the Confederacy and the South during the Civil War. After all, this isn’t an example of North v. South or United States v. Confederacy, but an internal conflict within the state of Mississippi. This story reveals a war that challenges our traditional assumptions and tired cliches that assume a monolithic Confederacy and a region committed to “Southern Independence”. The two flags may fit neatly into our collective memory of the war, but perhaps an image of a fractured Confederate flag might be more appropriate. Perhaps something even more exotic? What kind of cover would you design for this book? I think your “fractured Confederate flag” idea captures it. I’m planning to do my dissertation work on Confederate loyalties in Mississippi, and in my preliminary research one of those most interesting things I’ve found is that many Mississipians seemed to have held generally weak ideas about national loyalties. Poorer whites especially often viewed military service for the Confederacy as a chance to get a paycheck, get some action, and in general participate in someting great and exciting, but ideas of a great national mission are not as common as popular culture claims. One of the points I may end up making is that some people in the Civil War, as is the case today, were generally apolitical, and even if they held political beliefs those beliefs were often never set in stone and were subject to change depending on the circumstances. Sa you know, Dr. Bynum’s fantastic book “The Free State of Jones” and her exhaustive research on the Kinght clan provides an excellent example of how loyalties are often cloudyand not easily labled concepts. Thus, regarding the book cover, I think the fractured flag is about right. Wonder why we have not heard more about Jones County from the Libertarians and haters of central government? That’s a great point, but you could also ask why the Libertartians don’t go after the Confederacy in their attacks on “big government.” After all, the Confederacy was much more intrusive compared with the United States during the Civil War.